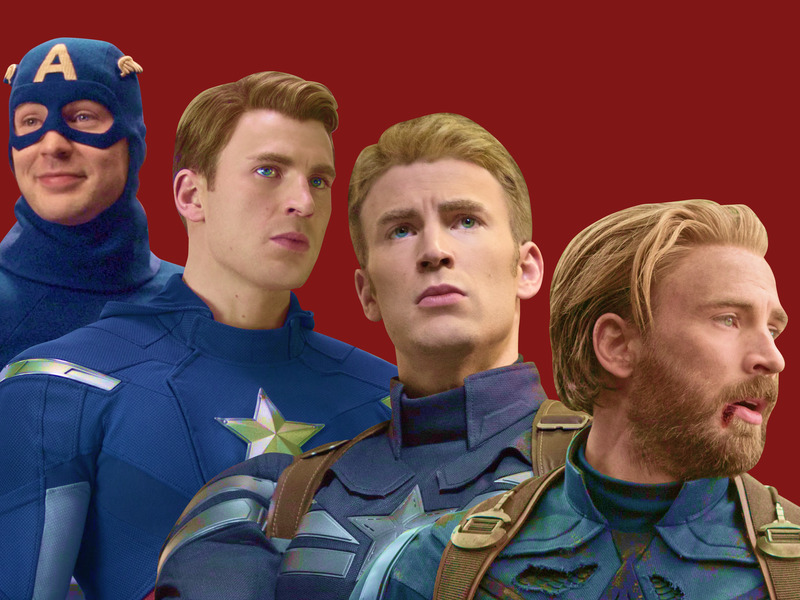 The history includes far more than what we see on the screen. 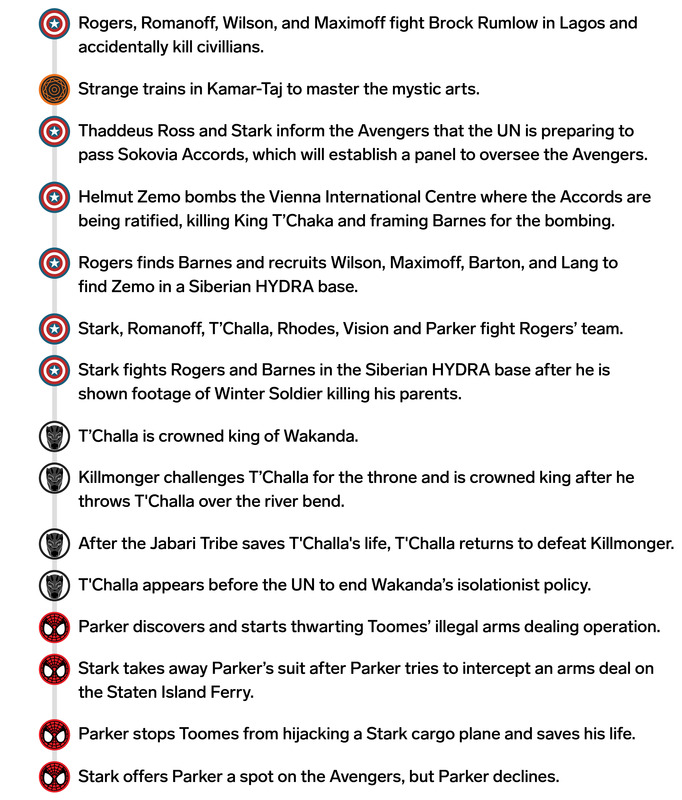 Thankfully, there’s plenty of context within the 20 movies so far to give us a sense of just how far back it goes and when important events not seen in the movies take place. 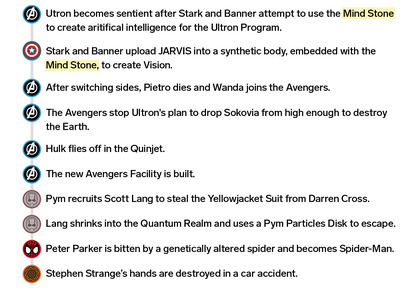 None of it would be possible, though, without Marvel Comics legend Stan Lee, who died on Monday at age 95. Lee helped revolutionise the comics industry in the 1960s, and co-created some of today’s most recognisable superheroes, many of which star in the MCU. 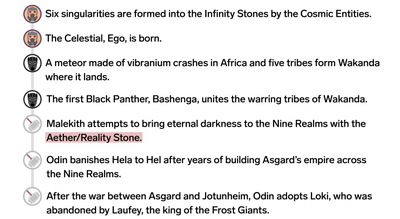 Those include Spider-Man, Iron Man, Black Panther, Thor, and others that have yet to appear in the franchise, like the X-Men and Fantastic Four. 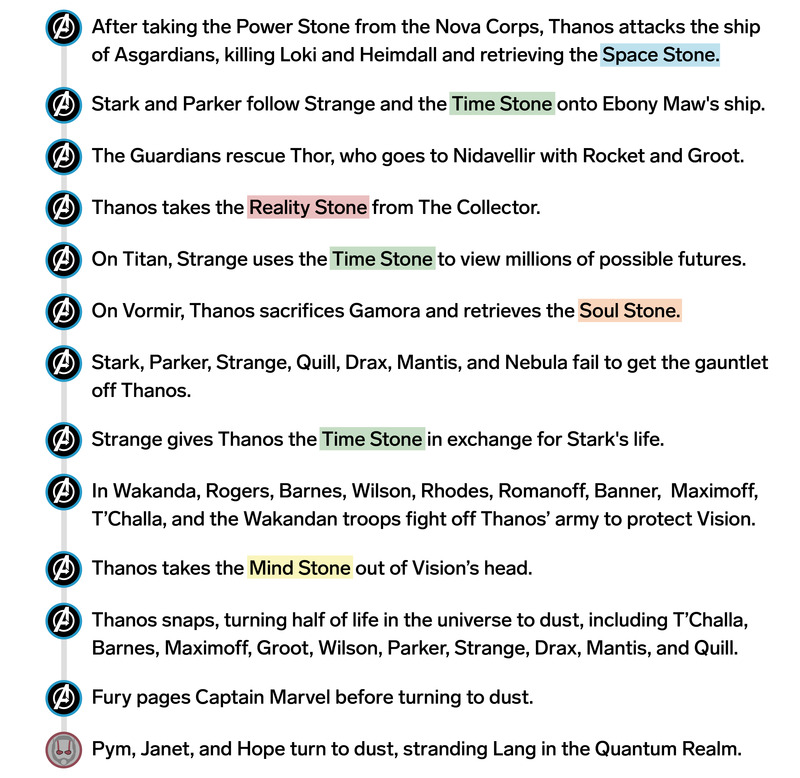 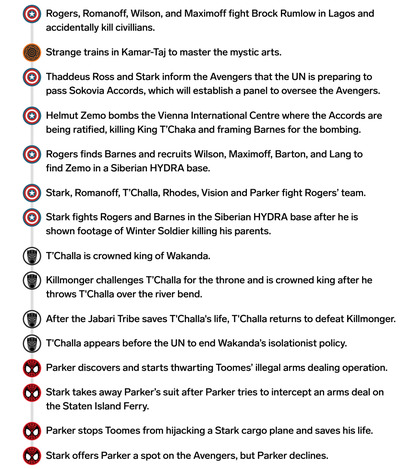 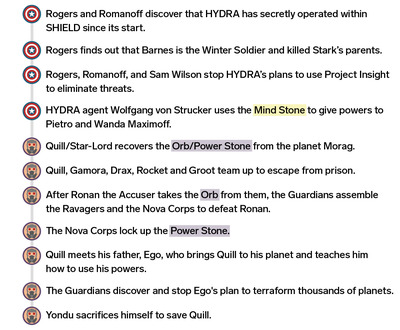 From the birth of the Infinity Stones to the Thanos snap, the MCU has built an impressive timeline of events. 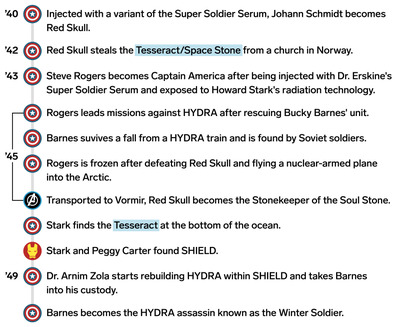 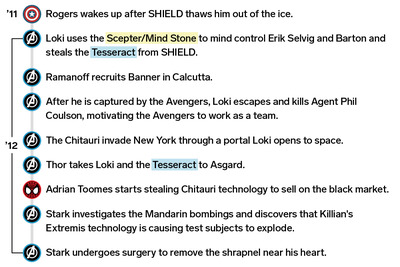 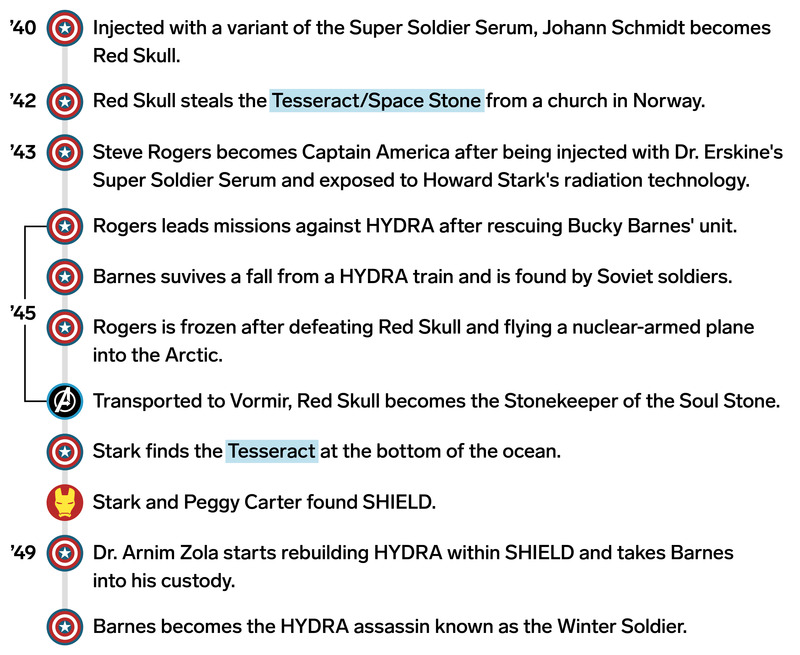 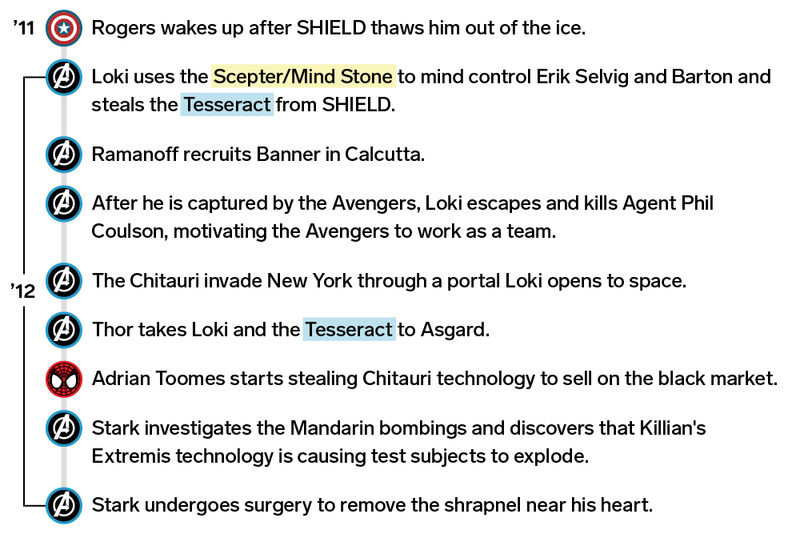 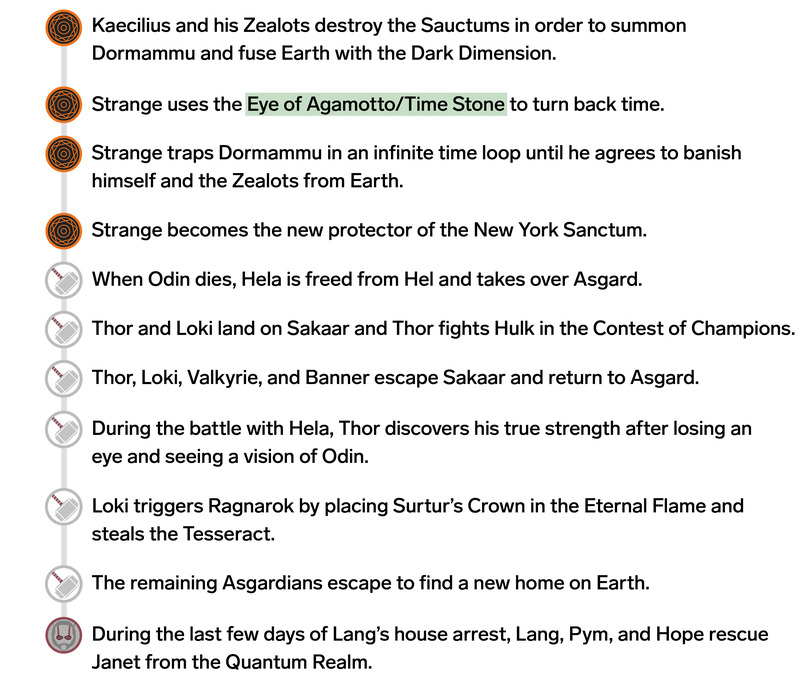 We hope this timeline, which puts all major events (including ones you forgot about) together will help you better understand some characters’ backstories and how specific events have shaped the universe so far. 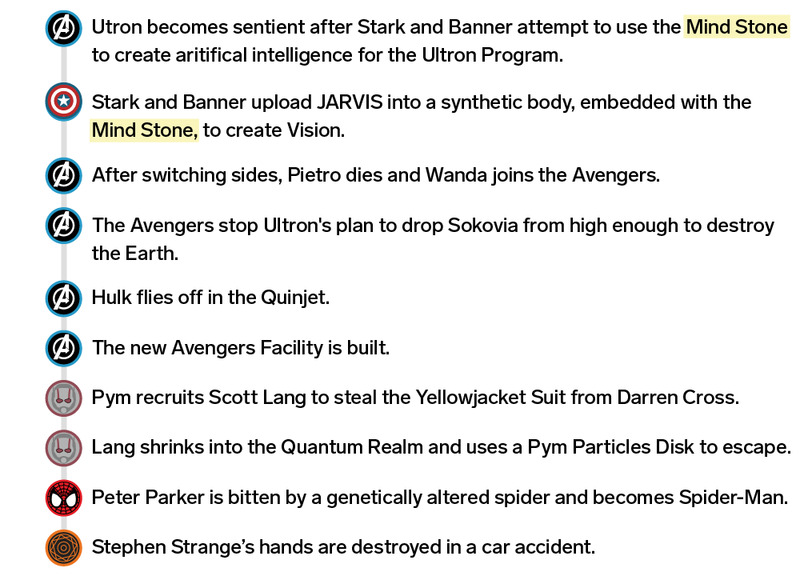 Note: This timeline was originally published in August 2018. 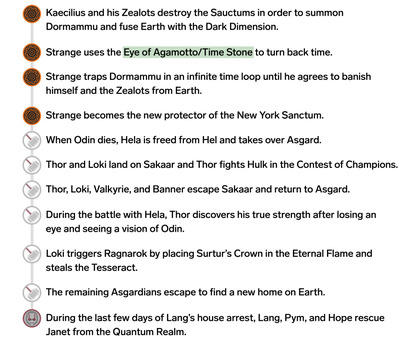 The icons in this key represent the movie that each event on the timeline occurs during or is mentioned in. 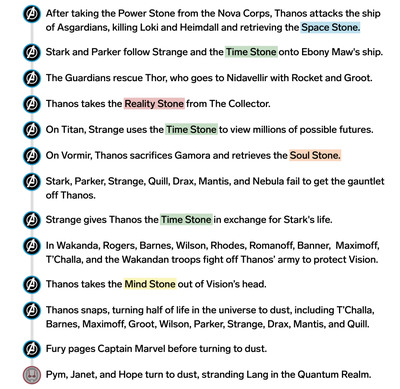 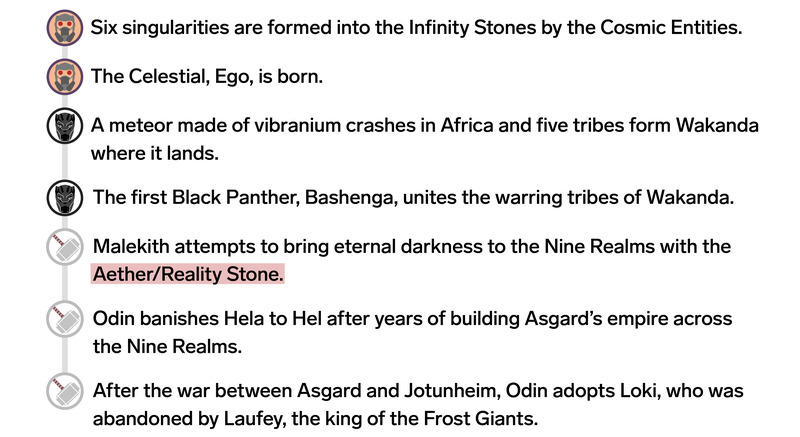 The Infinity Stones are colour coded to match the colour they are in the movies. 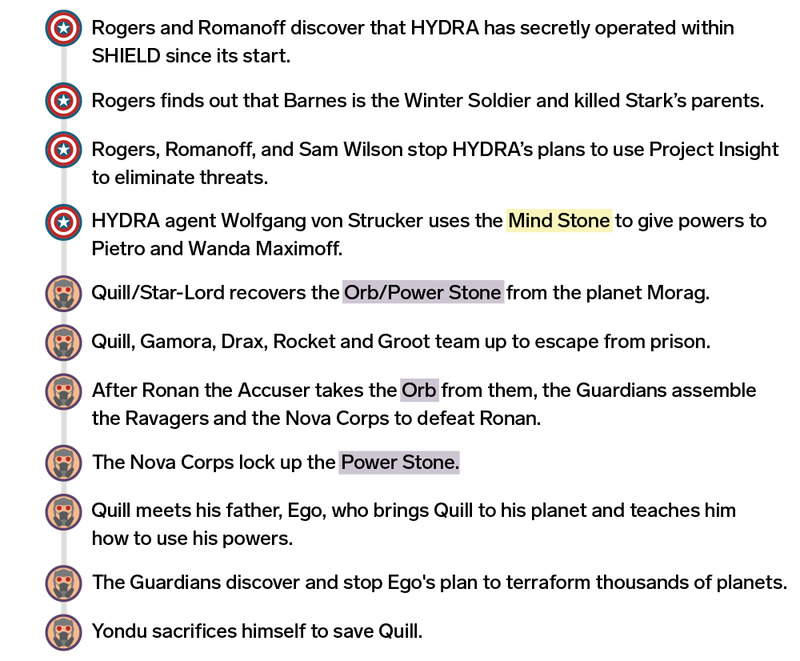 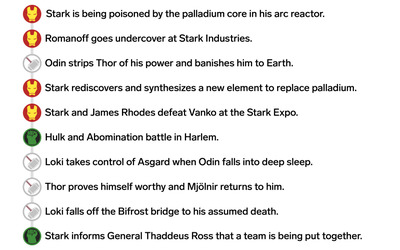 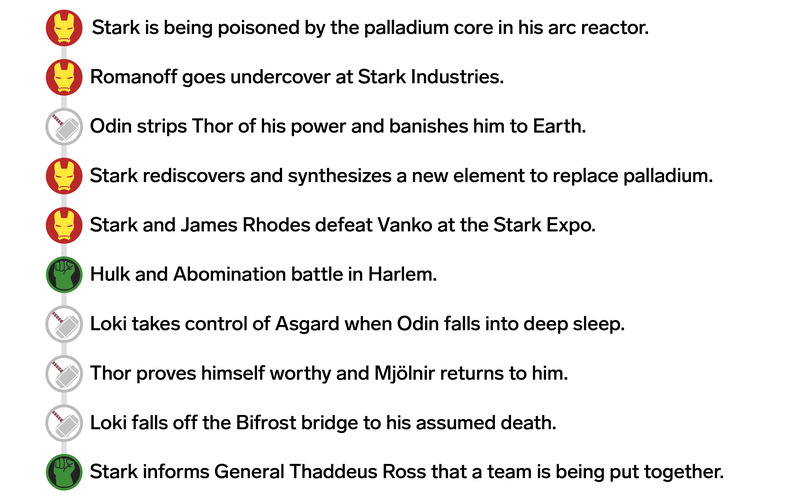 1951 – 1990: Many events are set in motion that test the heroes in the future, such as Ego finding Peter Quill’s mother on Earth and Janet van Dyne disappearing in the Quantum Realm.